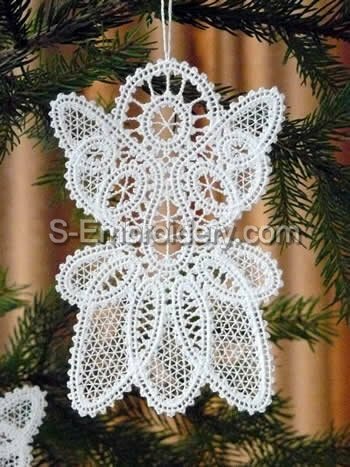 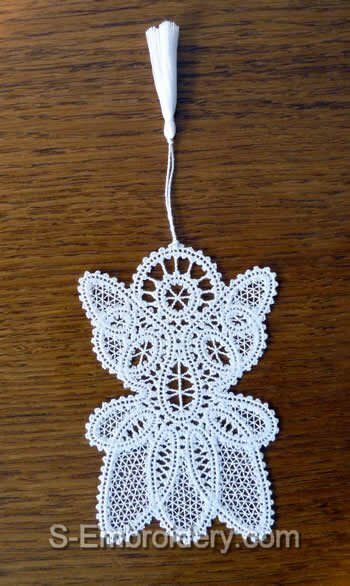 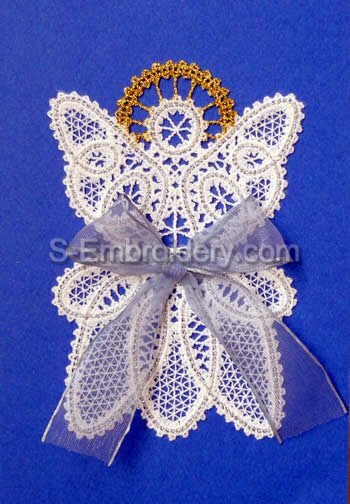 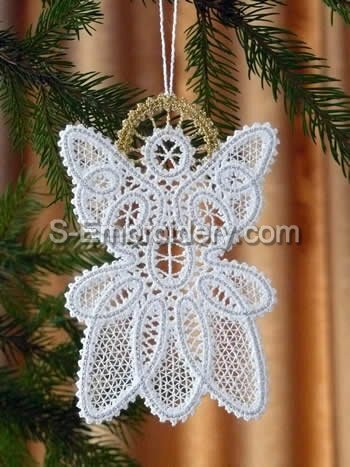 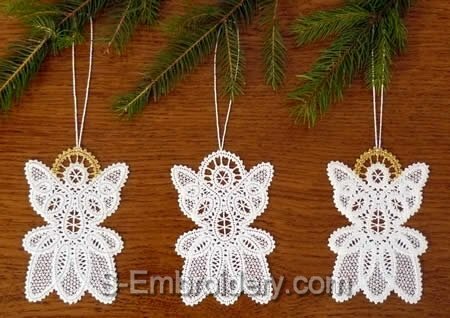 This strong>free standing Battenberg lace Christmas Angel machine embroidery design is offered in 2 variants - a Christmas tree ornament with a loop for hanging and ornament for decorating Christmas greeting cards which can also be used for creating a bookmark. 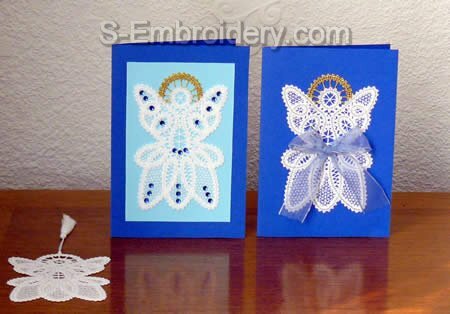 Each of the 2 variants is available in 3, 2 or single color. 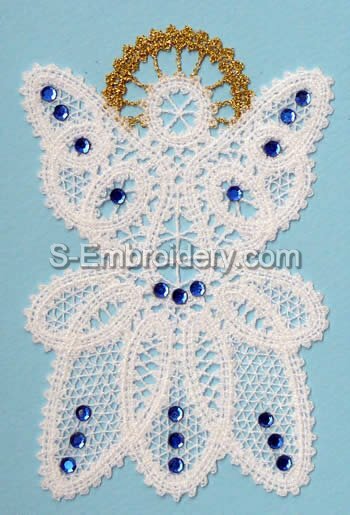 You receive 6 machine embroidery files as well as design information and instructions for stitching out in PDF format.